Yuen Long and Tuen Mun are two of Hong Kong's least visited districts...they have a few outstanding sights, some great neighborhoods and local restaurants but...it can take over an hour to reach the area from Central, you'll need to do some research on your own, and you'll need to rely on the Light Rail system to reach a destination. The effort is well worth the reward of exploring an area of Hong Kong that few others venture and do not realize what they are missing. If you reach Yuen Long mid-day and are hungry, exiting at the Yuen Long MTR Station will provide several dining options. 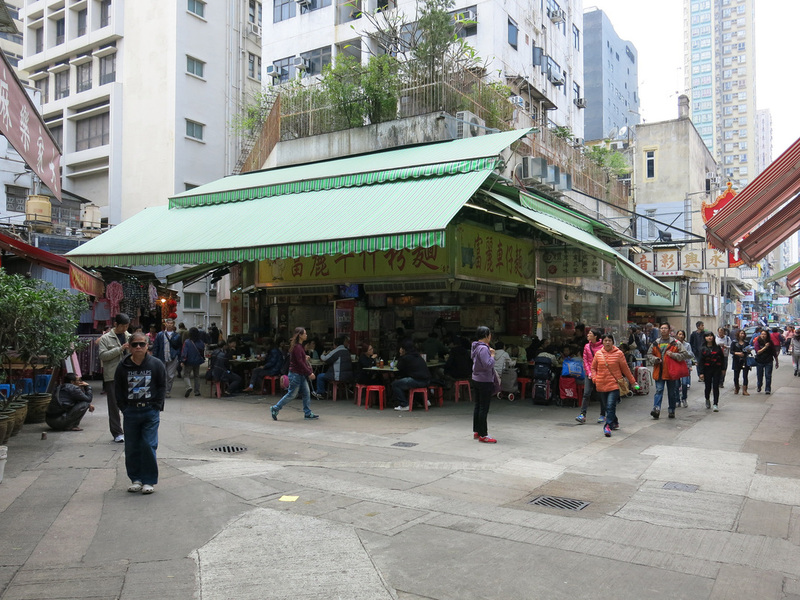 Just east from the MTR Station are a series of roads and markets that offer al fresco dining in a local environment. 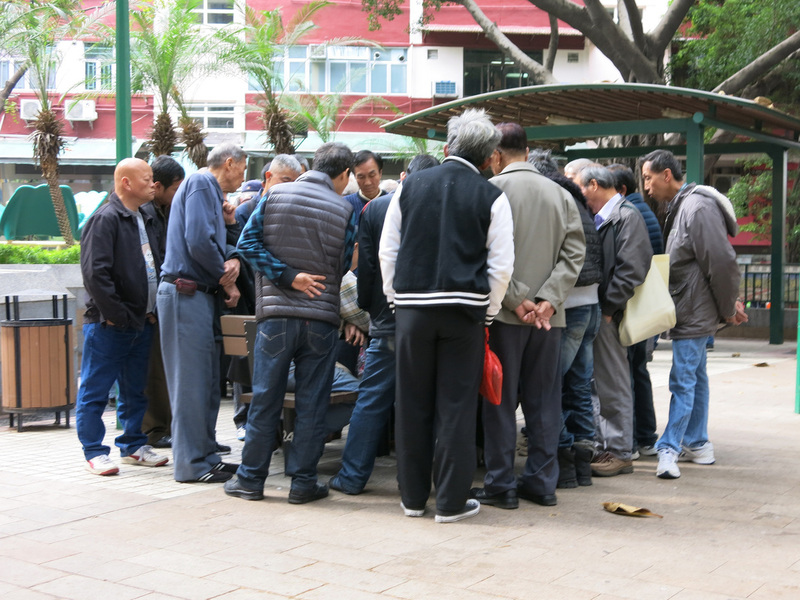 Near the Yuen Long Cinema is a park and pedestrian concourse area where people gather to dine and old men gathering to intensely watch games of Xiang Qi, the Chinese version of chess...you know you've stumbled upon a good area of Hong Kong when a chess game draws a crowd. Xiang Qi - To the Extreme!!! As tempting as the outdoor dining places look you may still want to consider dining at Tai Wing Wah, a local institution. 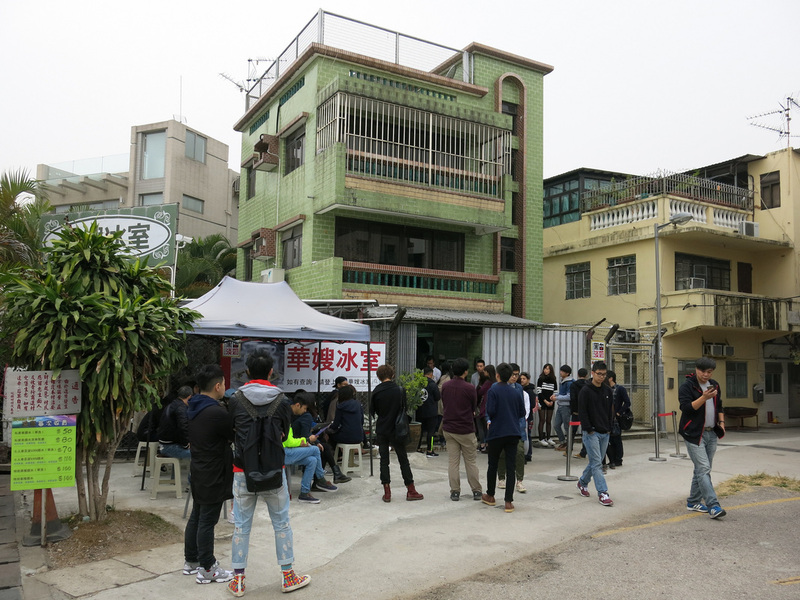 This is one of the most popular restaurants in Hong Kong and even with seating for over 400 people you may still need to wait for an open table. 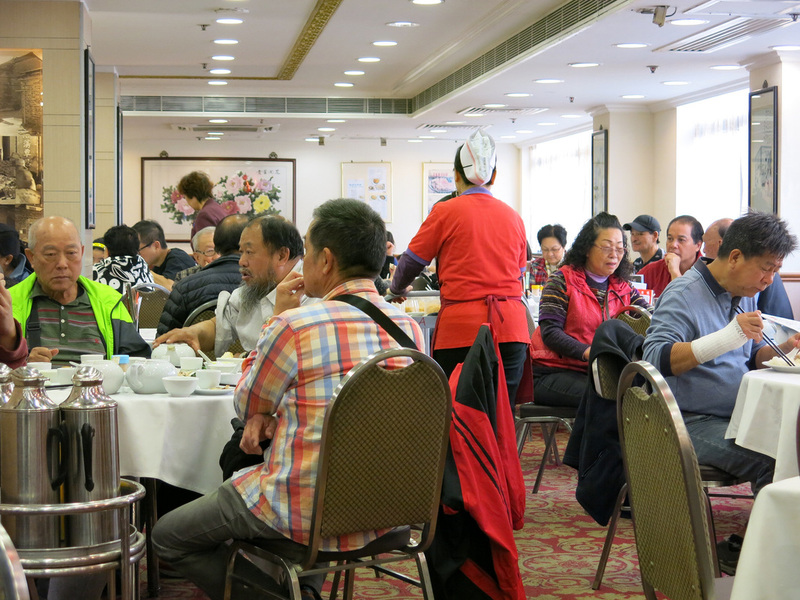 Tai Wing Wah specializes in Guangdong cuisine and offers a wide range of Dim Sum. On my visit, I ordered the shrimp dumplings and BBQ Steamed Buns, relatively standard fare. 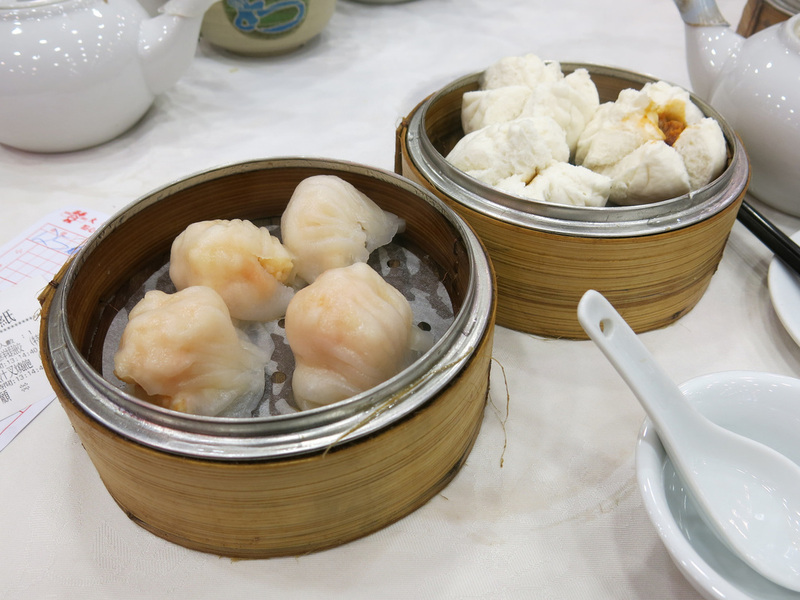 The dumplings were stuffed with four or five buttery shrimp and as good as I've tasted in Hong Kong. The two order, plus tea, and a compulsory 10% gratuity totaled $62HKD. 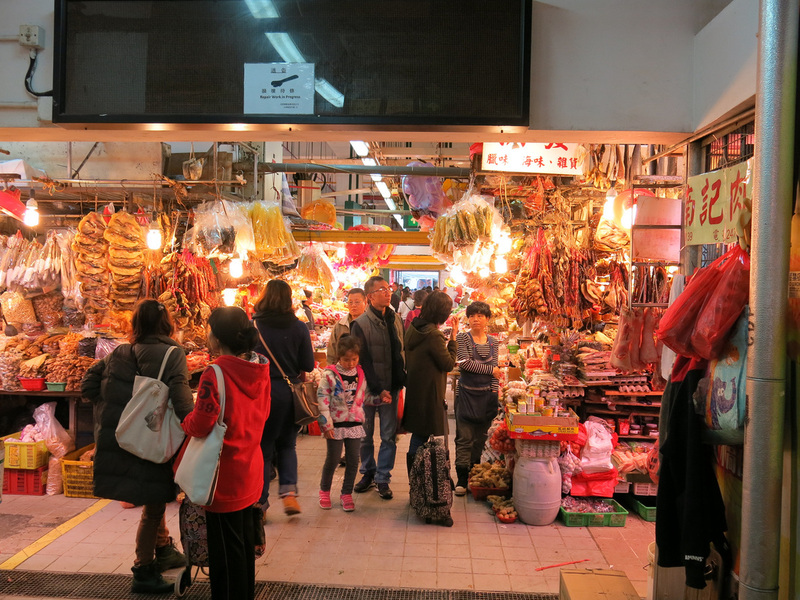 From this area, instead of backtracking to Yuen Long MTR Station you should continue to Long Ping MTR Station and see a few other markets and outdoor dining areas. There are lots of Dai Pai Dongs in this area and you'll start to think that instead of just a single return trip to the area, multiple return trips will be necessary to try all the restaurants you see. 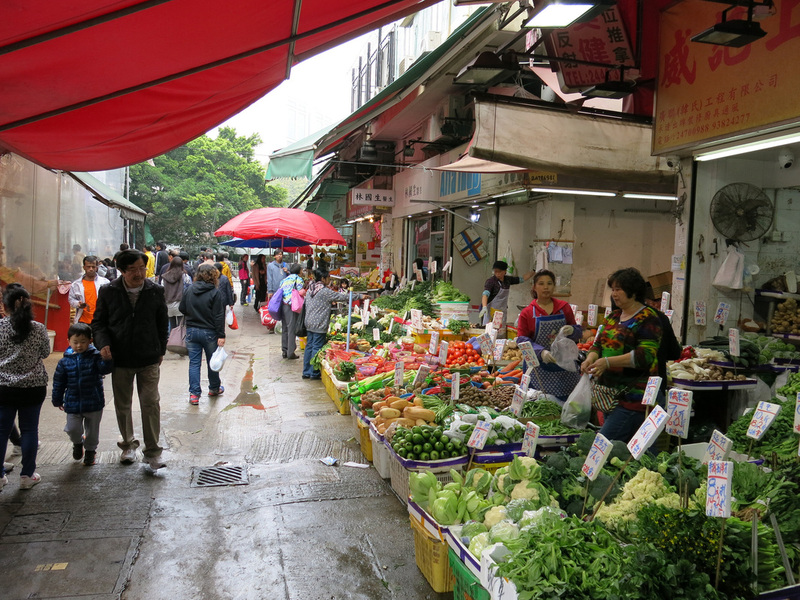 There's a lively indoor market as well as a few dedicated market and shopping streets. It's best to visit on a weekend when the locals are out in full force. From a sight's perspective there's not much to see in this area other than markets and local life...which is worthwhile and I think there's more going on here in a larger area and it's easier to find than other New Territory Districts like Sha Tin or Tai Po. 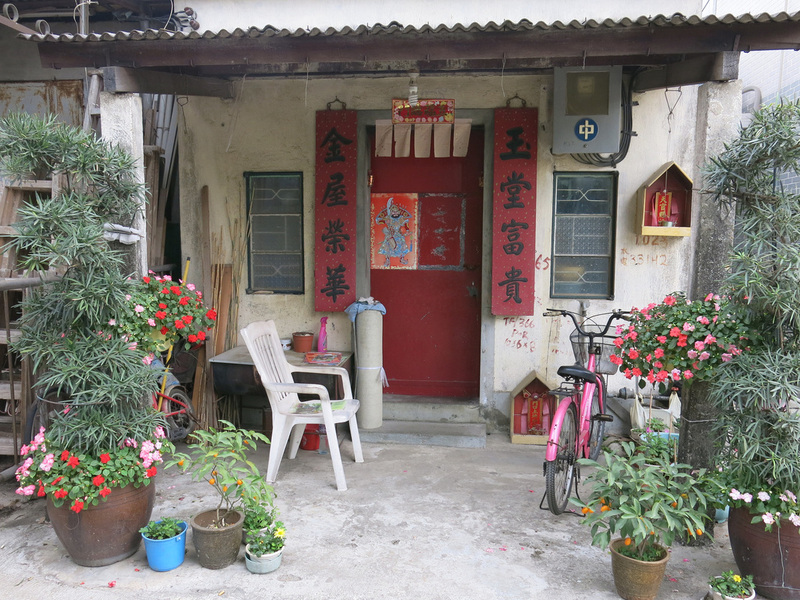 If you want to add a few destinations to your itinerary hop on the MTR to Sui Hong. Then transfer and ride Light Rail route 610 to Tsing Shan Tseun Station. Backtrack a little then start a steep 25 minute uphill walk to Tsing Shan Monastery...a.k.a. Castle Peak Monastery...a.k.a. the monastery in the opening scene of Bruce Lee's Enter the Dragon. 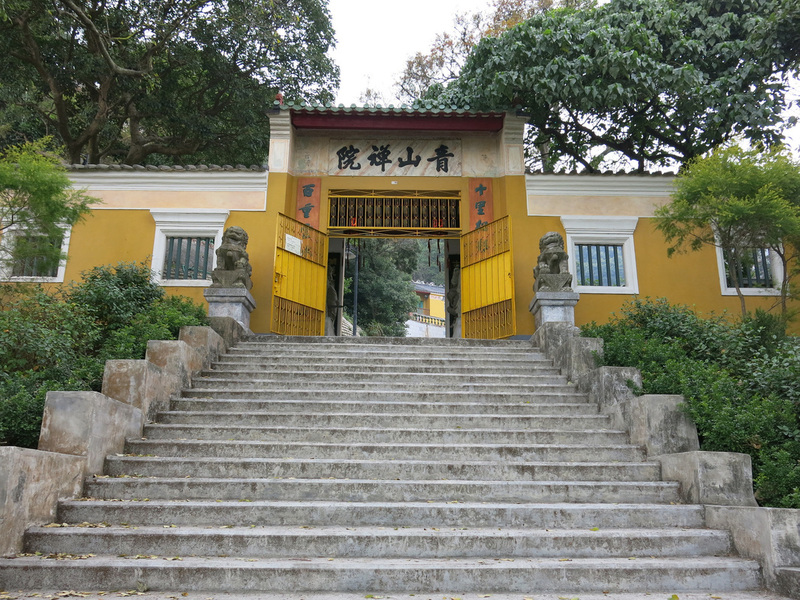 Midway up the road to the monastery I thought - only diehard Bruce Lee fans would ever visit this place - then I reached the monastery and knew I'd stumbled upon my new favorite place in Hong Kong. This temple complex isn't just nice for Hong Kong but it's as nice as any I've seen...I think the remoteness and lack of crowds really accentuates the spiritual vibe. 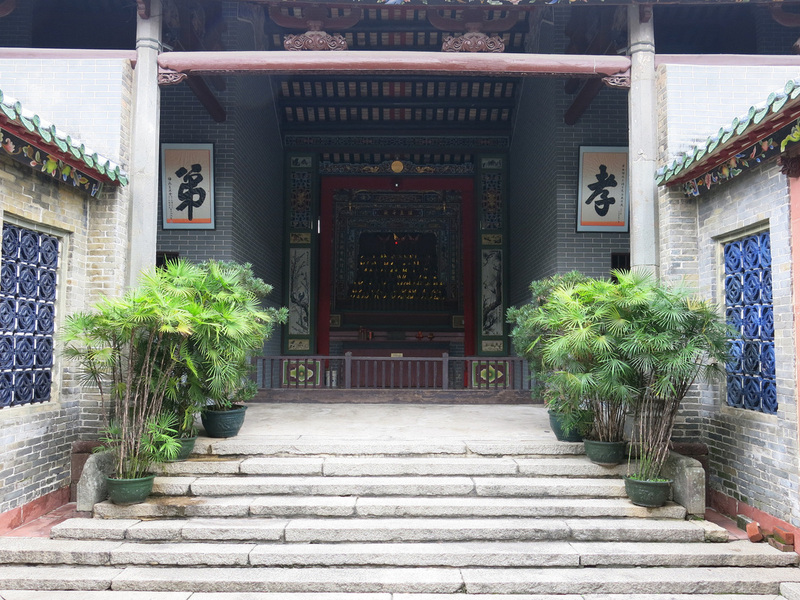 Unlike other Hong Kong religious sites, there has been temples in the Castle Peak area since the 1400s and is considered the "birthplace" of Buddhism in Hong Kong. Although the recent construction dates to the 1900s (and there are a few buildings that look less than ten years old) the place still feels old and the natural setting, high in the mountains, enhances the experience. If it's the middle of summer you can take a cab to the monastery from the Tuen Mun MTR Station. It takes about an hour to see the monastery, walk through the garden, and return to the light rail station. 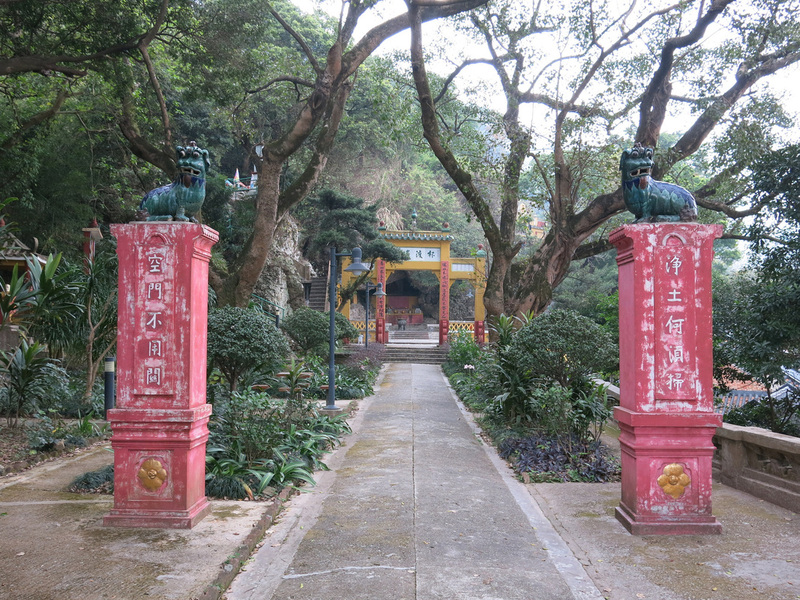 From Tsing Shan Monastery it's less than a ten minute Light Rail ride to Ching Chung Koon Temple on either the 505, 615, or 615P lines. The temple across the road, opposite the light rail station. 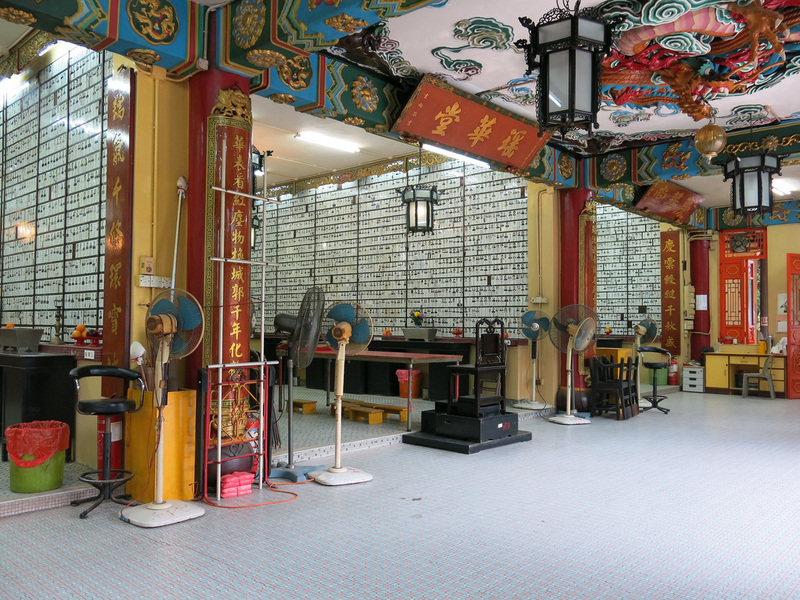 Ching Chung Koon temple has many "burial" rooms where the faces of deceased locals are on placards in the temple - their cremated remains are behind the placards. 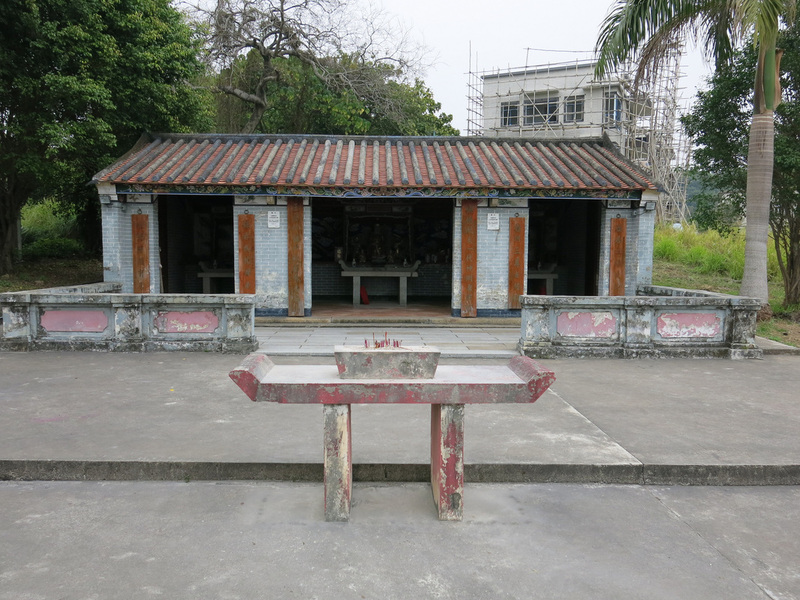 Burial and paying respect to the dead seems to be the primary focus of this temple complex. At the time of my visit a service was being performed which included chanting, erhu playing, and stick and cymbals. 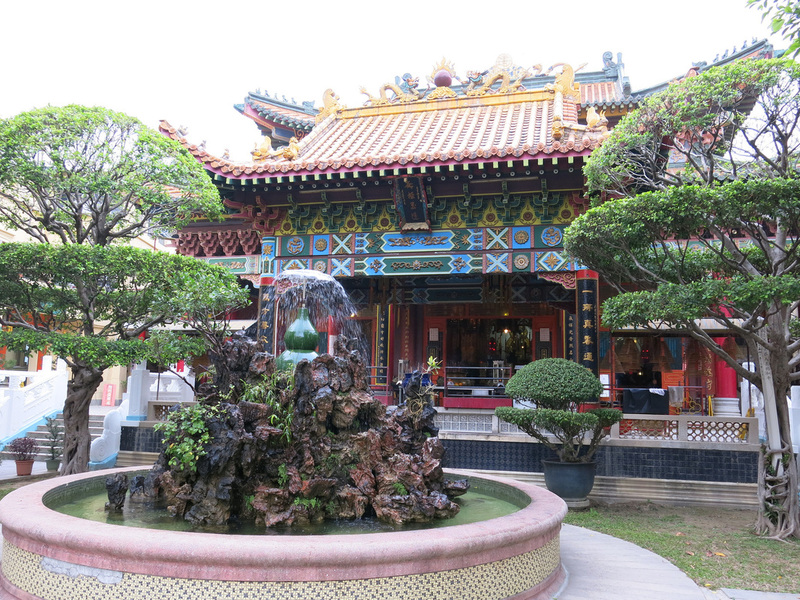 The temple opened in the 1960s, although like Tsing Shan it feels older. It also was featured in scenes from Enter the Dragon. 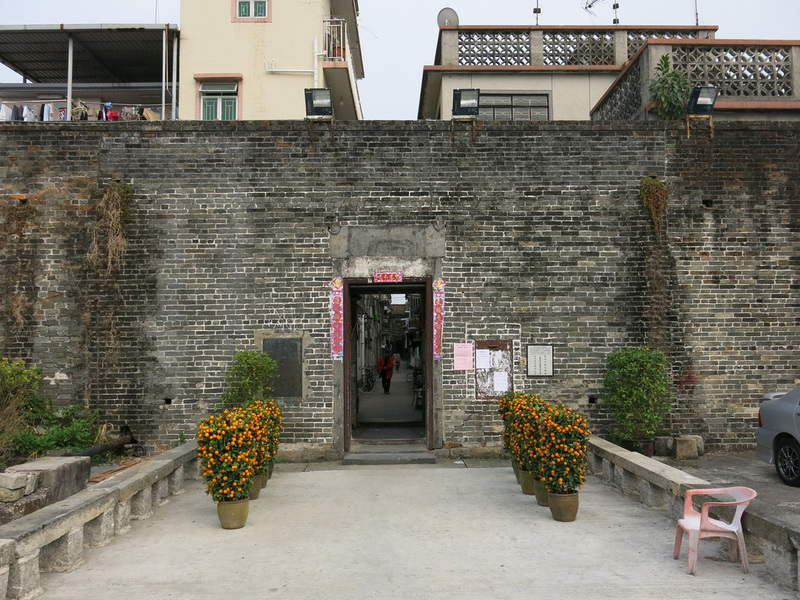 The Ping Shan Heritage trail is an obvious extension to turn a half day tour of Yuen Long into a full day excursion - it's worthy of a half day trip of it's own if you don't feel like running a marathon. The "Trail" includes several historical buildings pertaining to the Tang Clan's development of the area. 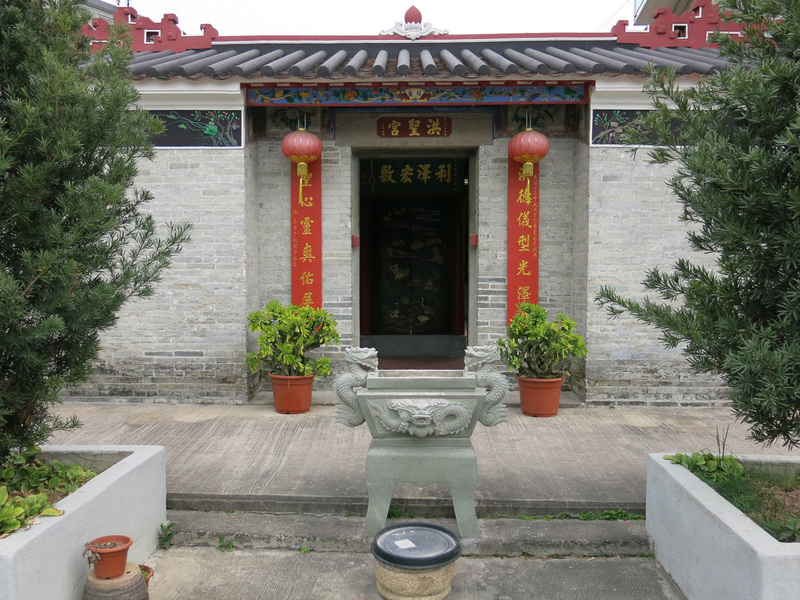 Around the early period of the Northern Song Dynasty (960-1127) Tang Hon-Fat moved to the Hong Kong area and re-established his clan lineage in an area that would eventually become Yuen Long in the New Territories. Tang's move was typically of others who headed south whenever there was turmoil with the rulers in Beijing and the other Northern capitals. Tang found an area along the river to have excellent Feng Shui with mountains and the ocean nearby. 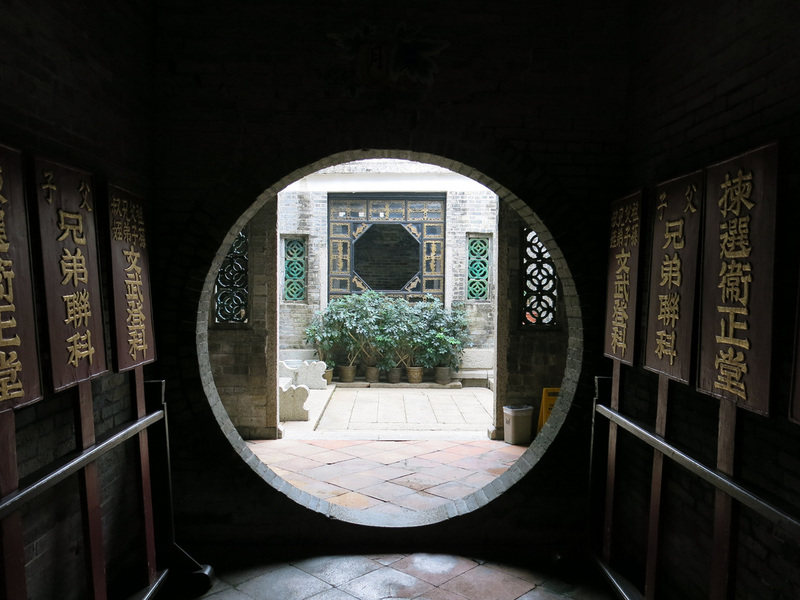 Over the next several hundred years, the clan built several ancestral halls, temples, study halls, and residential units that are now linked via the Ping Shan Heritage trail. 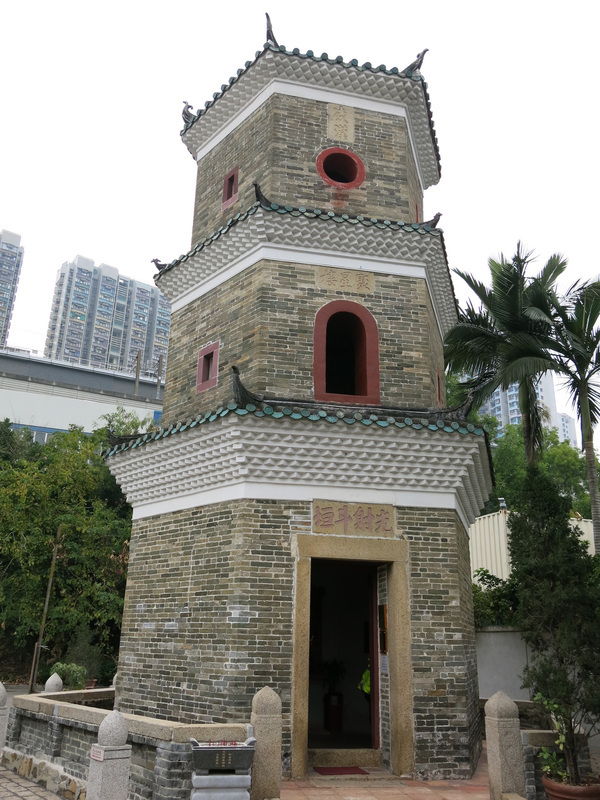 The first stop on the trail is Tsui Sing Lau Pagoda, directly across the street from Exit E of the Tin Shui Wai MTR Station. 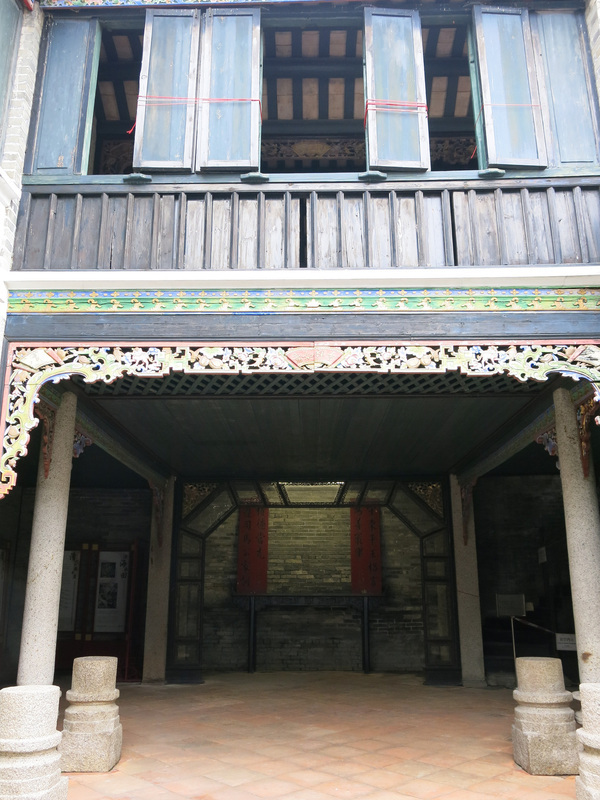 Over 600 years of age, the three story pagoda is the oldest building in the area. Other buildings were constructed throughout the 1500s to 1800s and most have been recently refurbished. At the pagoda you can pick up a guide book that provides site backgrounds and includes a map. The Pagoda is closed on Tuesdays. All the other sites are open year round except for Chinese New Years. 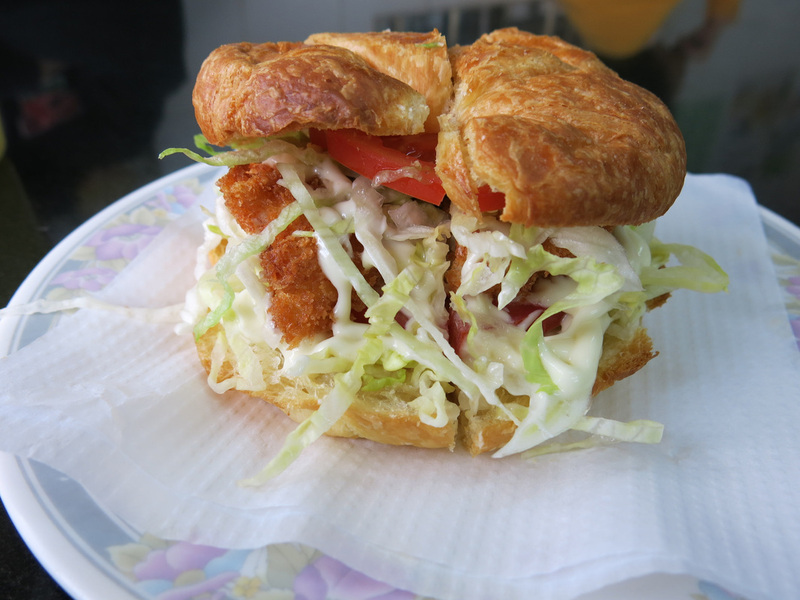 Operating hours are 9-5 with an hour lunch break from 1-2. The trail is a single route - you follow the same route in as you do out. 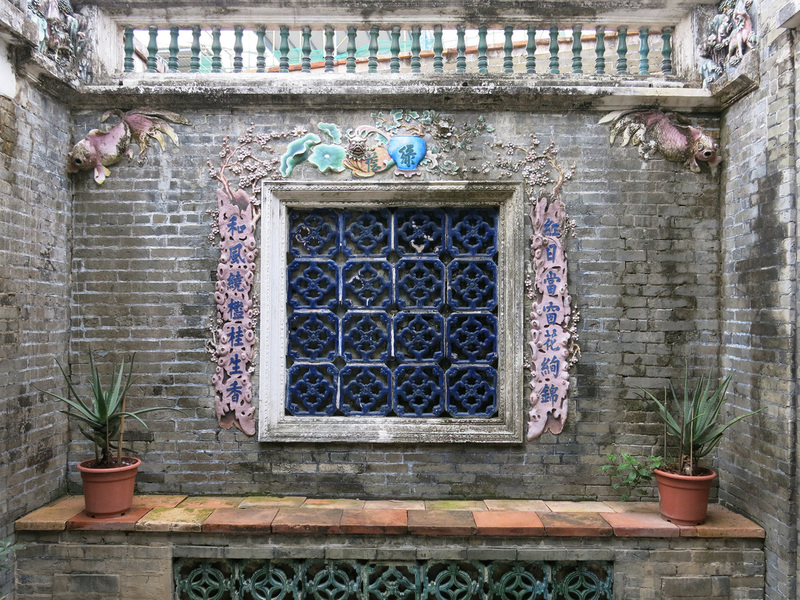 After Tsui Sing Lau Pagoda the best option may be to skip to the final stop on the map, the Ping Shan Tang Gallery. 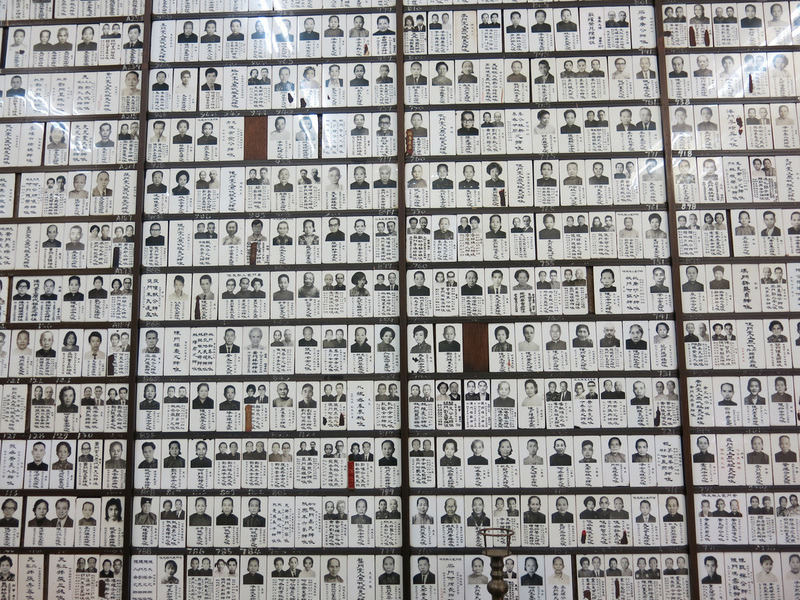 This small museum provides an overview of village life and includes a few artifacts. From here it's a short walk back to Hung Shing Temple. 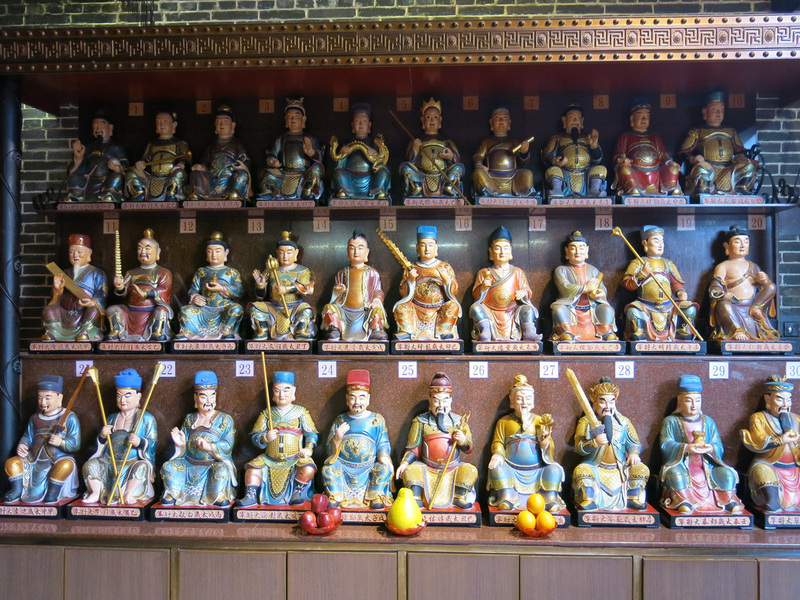 Hung Shing is a popular God among the fishing and seafarer clans. There's not much to the temple but the house next door is worth exploring. It's not part official part of the trail, however, this building and others in the surrounding community help to add a local flavor to the tour. 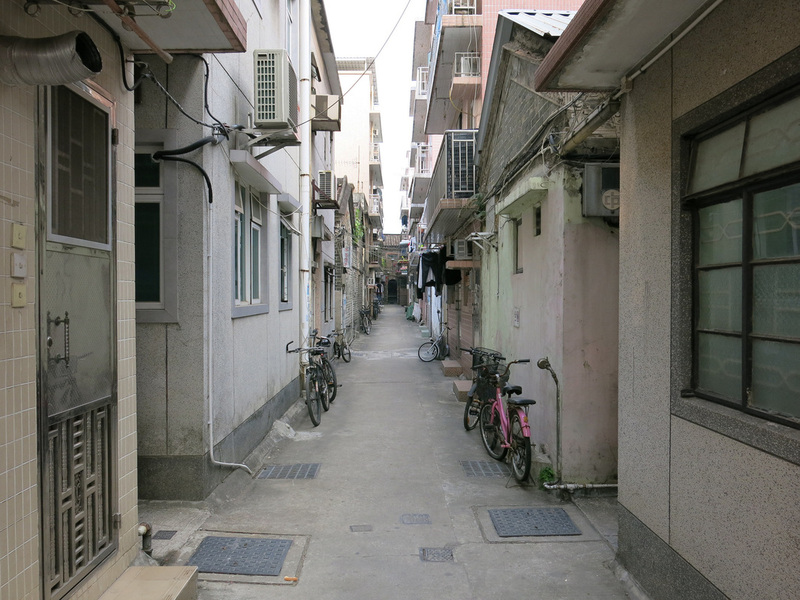 The next stop, Shut Hing Study Hall is hidden in a residential area with only an alleyway sign giving away the building's location. The Study Hall rooms have been converted into a residential area. The only area that is technically open to the public is the entrance gate and flanking stairwells giving a clear indication of the building's impressive past. 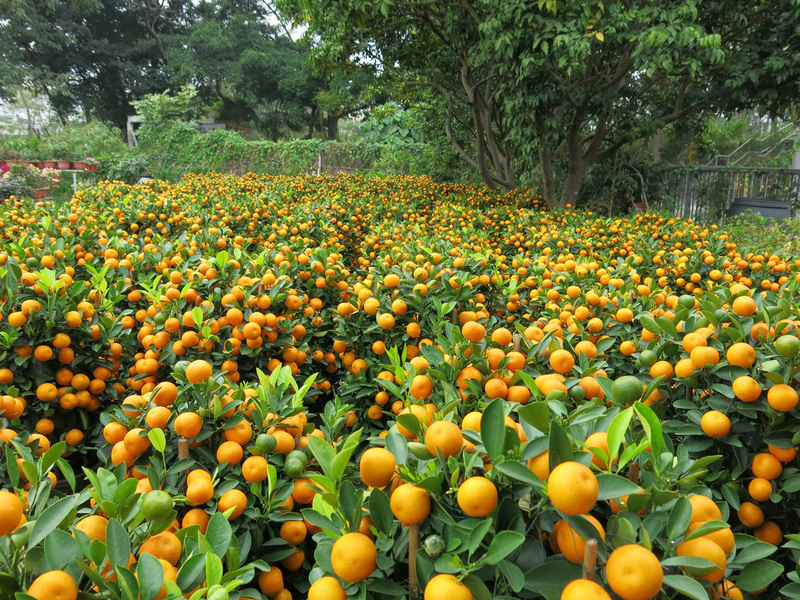 There is a nursery nearby that was stocking up on kumquat trees for the upcoming New Year's celebration. Back across the main street are two adjoining sites - Ching Shu Hin and Kun Ting Study Hall. Ching Shu Hin is the largest and singularly most impressive building. The large, two story building formerly served as a guest house. The entrance features a "moon" gate. 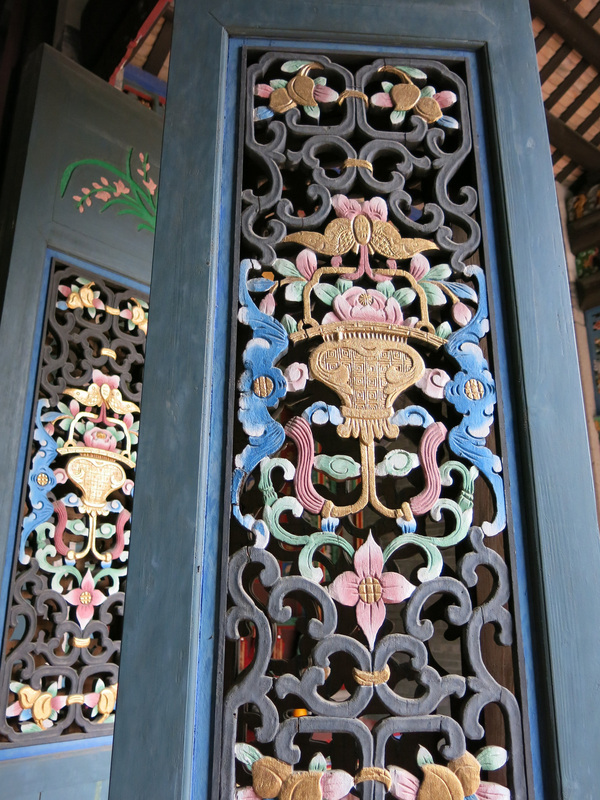 Both buildings have intricately designed moldings. 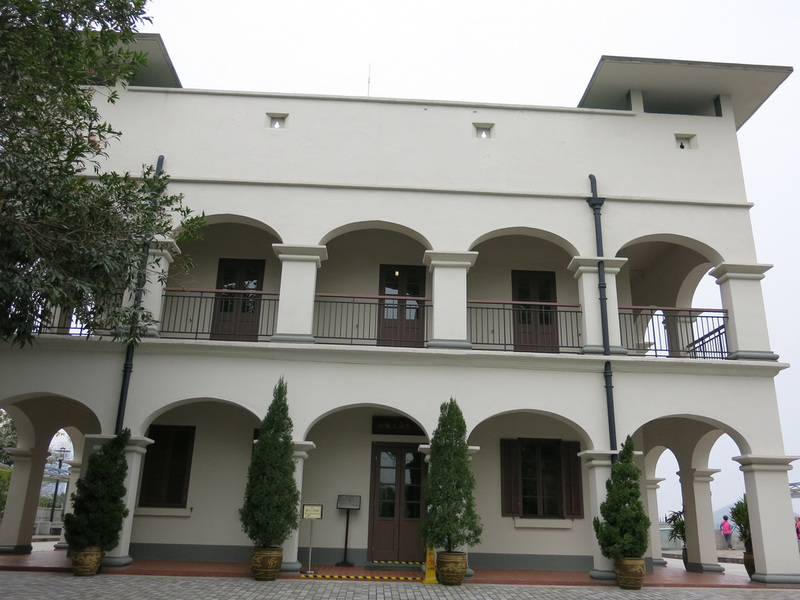 The three study halls along the trail were used to prepare youth for the imperial service examinations. 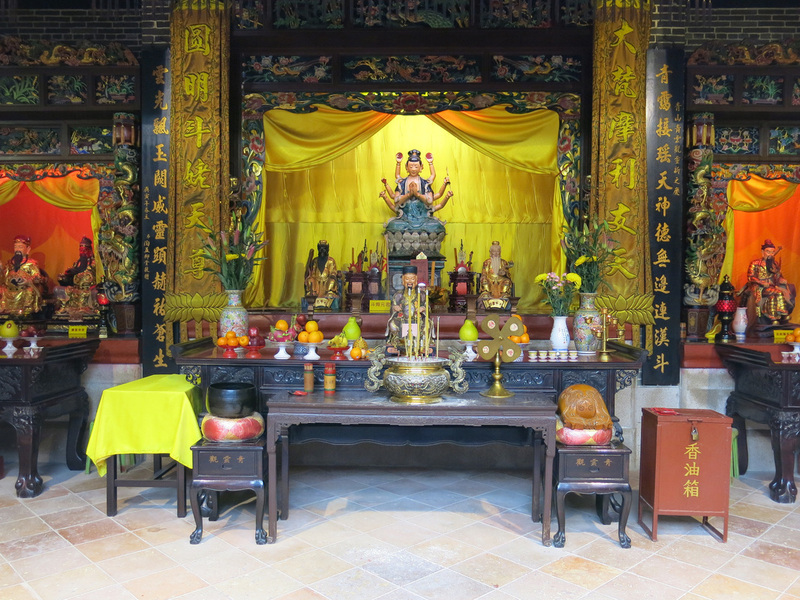 They also served as an ancestral worship area. 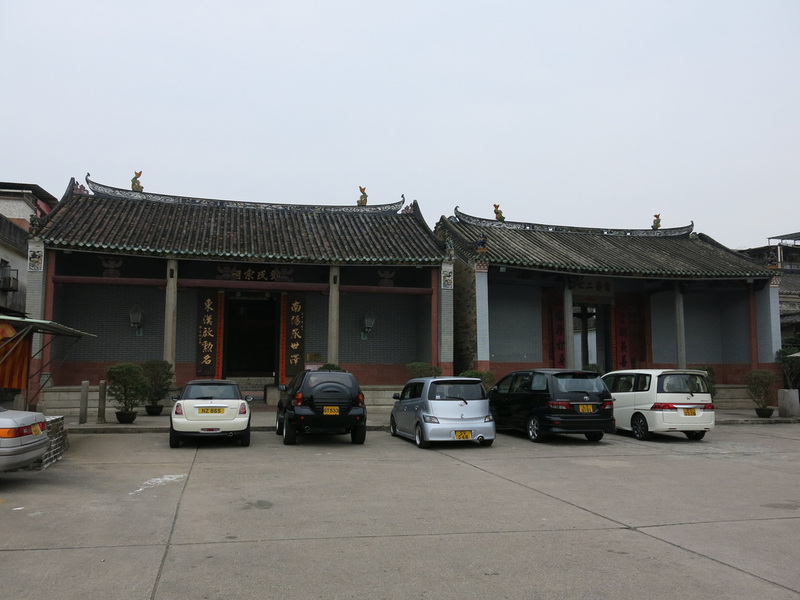 In the area of the Tang Ancestral halls are two busy restaurants. 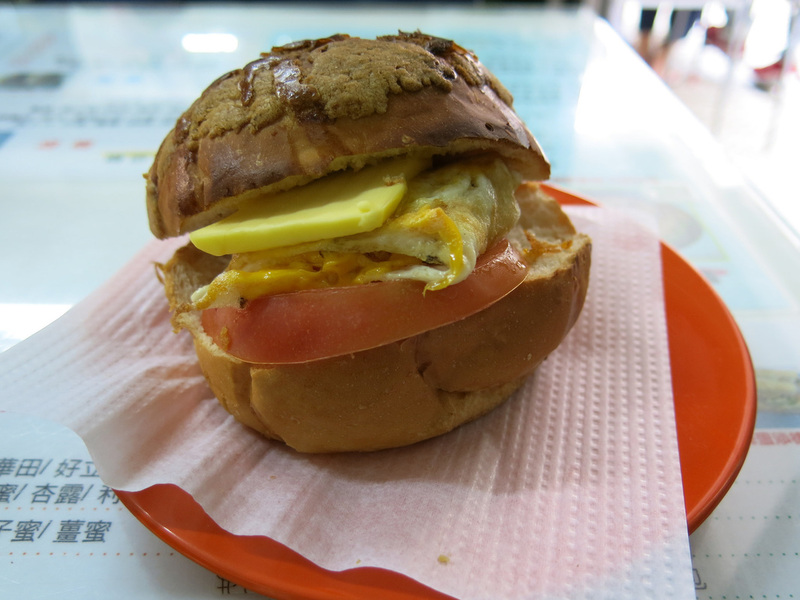 The one across from the ancestral halls is renowned for a tomato and egg pineapple bun sandwich although the menu featured a wide range of items. The other restaurant may not have the long lines outside but is just as good. 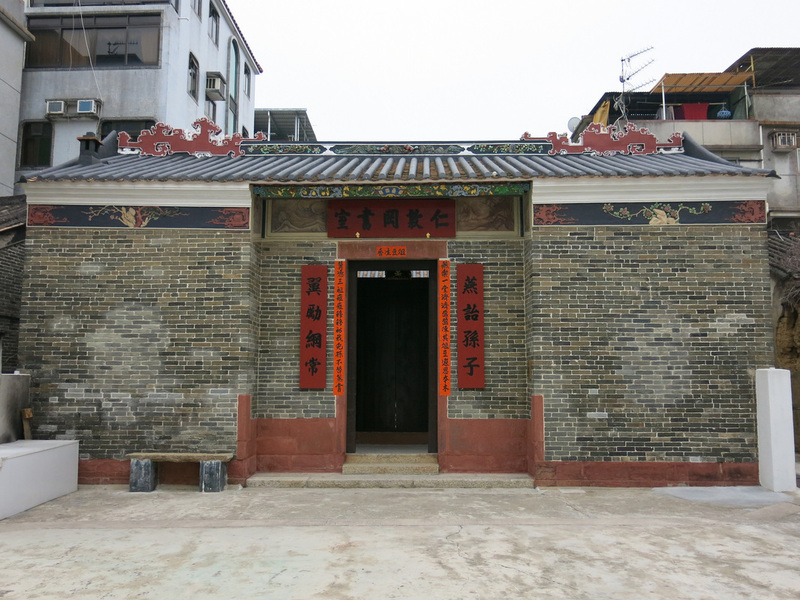 The Tang and Yu Kiu ancestral halls stand next door to one another the halls are over five hundred years old but were refurbished in the 1990s. 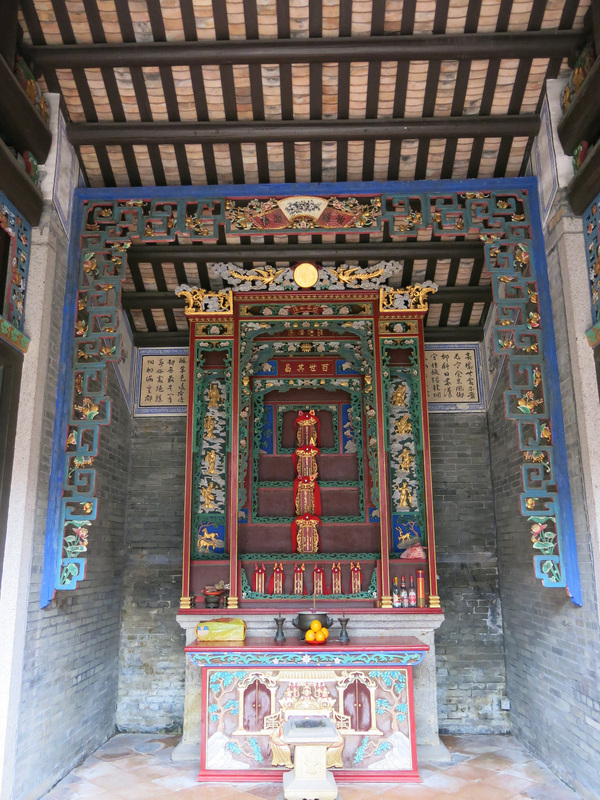 The halls follow the standard architecture pattern of a greeting hall and spirit screen that leads to an open hall and an ancestral offering area. 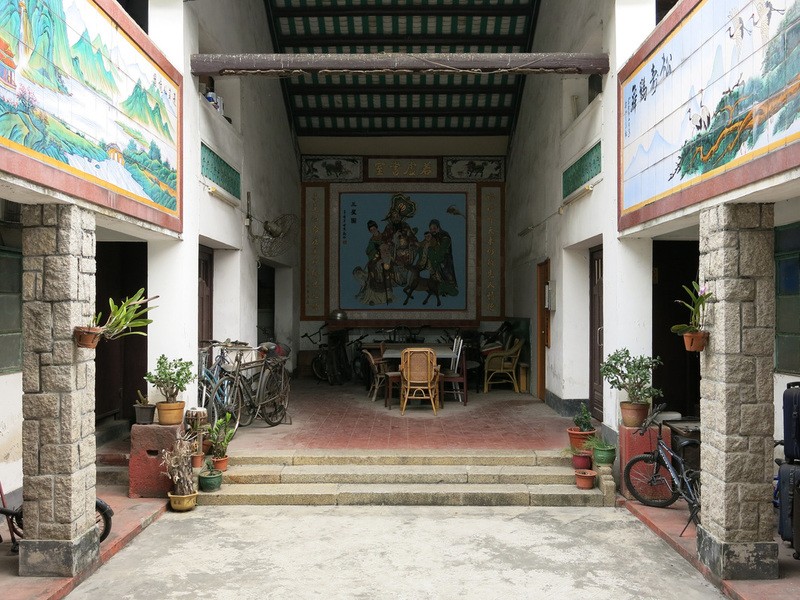 Further along is the Yan Tun Kong Study Hall that similar to Shut Hing Study Hall is hidden in a residential area. The residential areas a interesting to walk through because you can hear games of Mah Jong being played and see people setting up their homes for New Years by placing red wrapping paper along the walls. 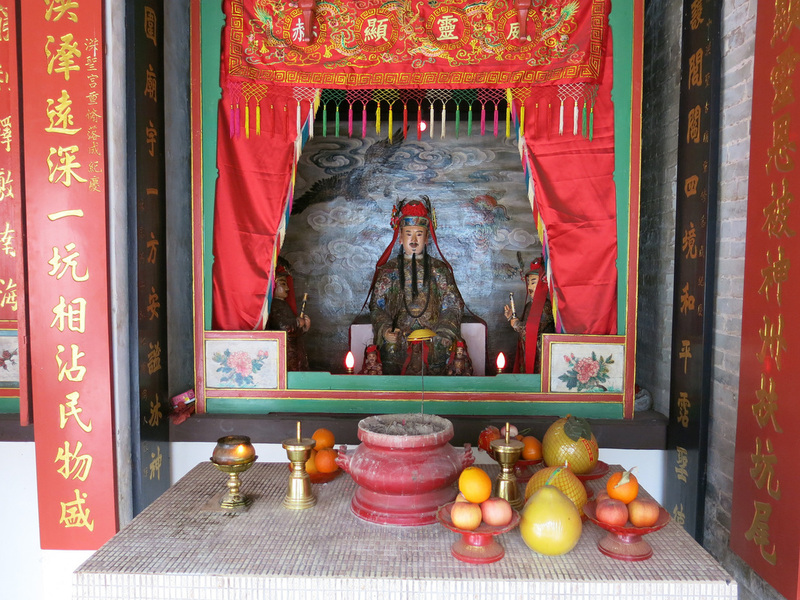 Most homes have a shrine area inside or outside by the doorway. 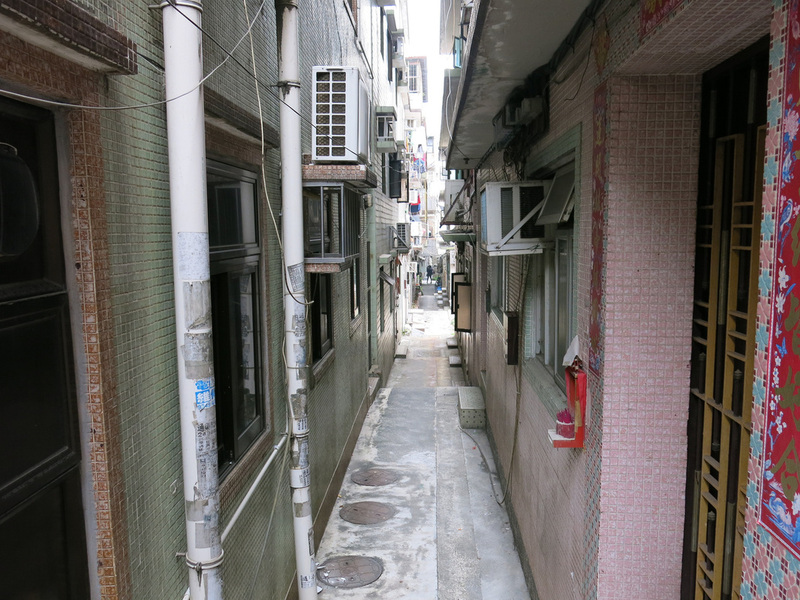 The homes are tightly packed together and accessed via narrow walkways. The final stops do not warrant as much attention as the earlier stops. 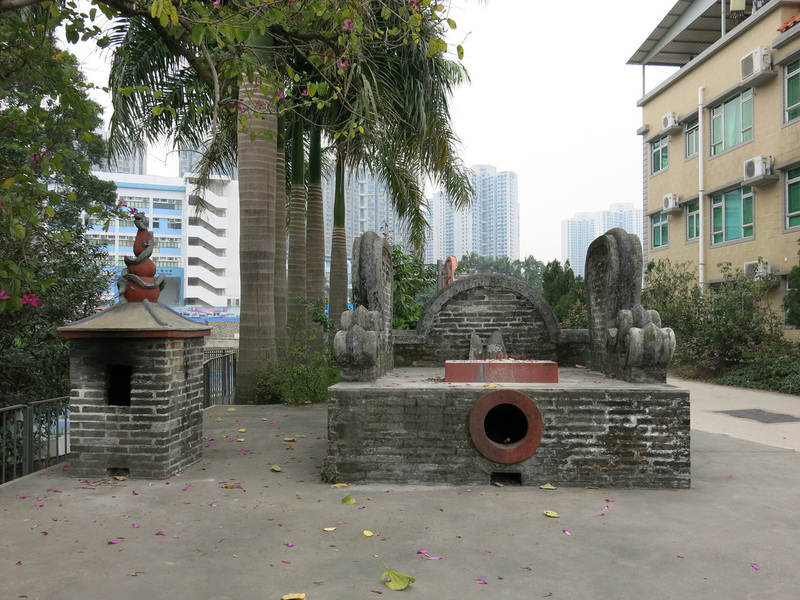 There's an old well and nearby is Yeung Hau Temple. 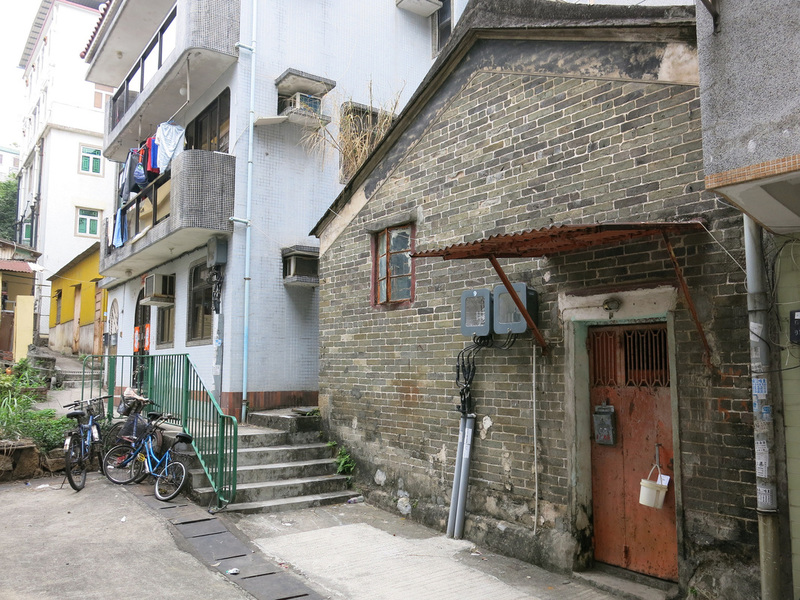 Heading back to the MTR Station is Sheung Cheung Wai, a walled village. Most of the homes inside are recent constructions. Across the street is the Shrine of the Earth God. From here it's about a five minute walk back to the MTR Station. The walk takes 2-3 hours depending how many meals you eat and how much you time you spend wandering off the guided path and through the residential areas. 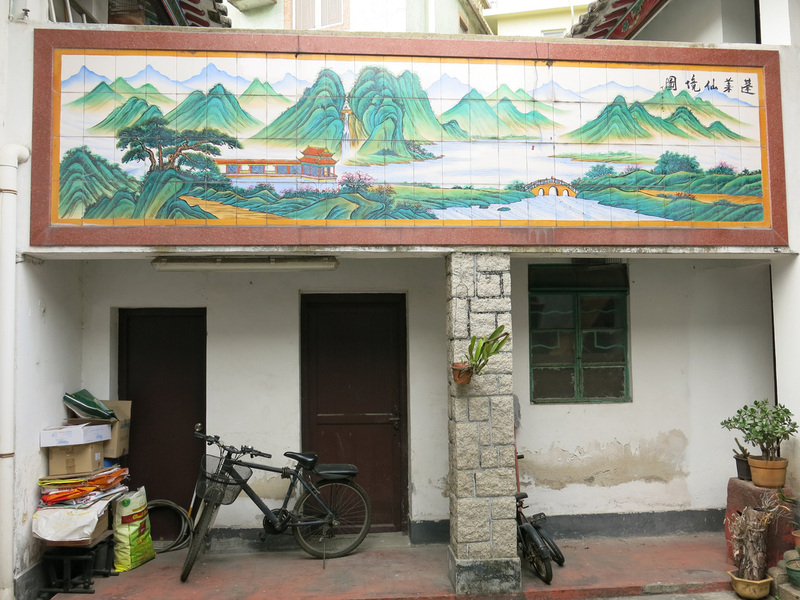 If you are not tired of seeing historical Hong Kong housing remnants there's another one, Kat Wing Hai, a few MTR Stations away on the return to Hong Kong. 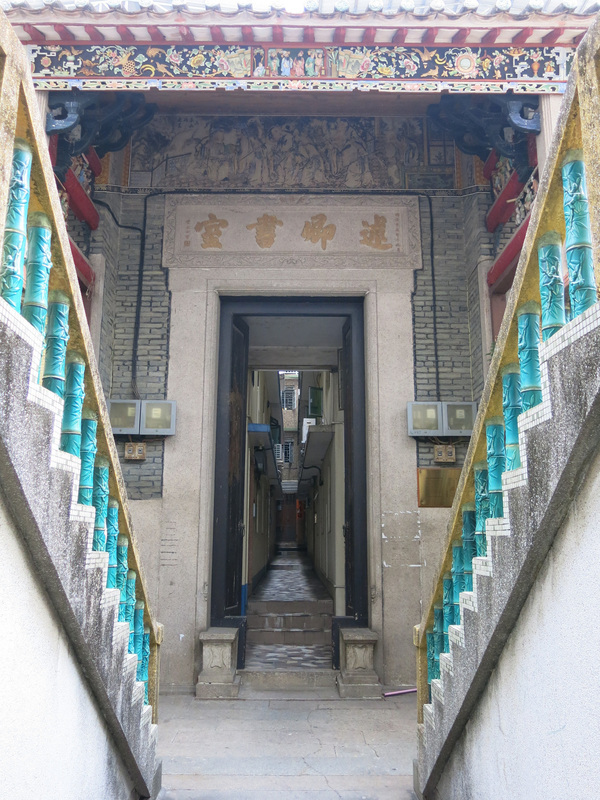 Kat Wing Hai may be the best persevered walled village in Hong Kong and is a twenty minute walk from the Kam Sheung Road MTR Station. 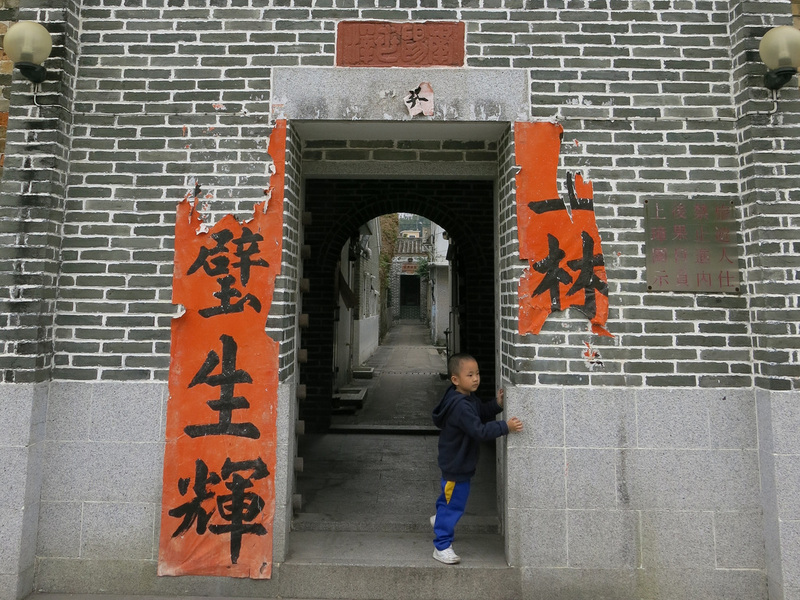 Walled villages are common throughout Southern China. 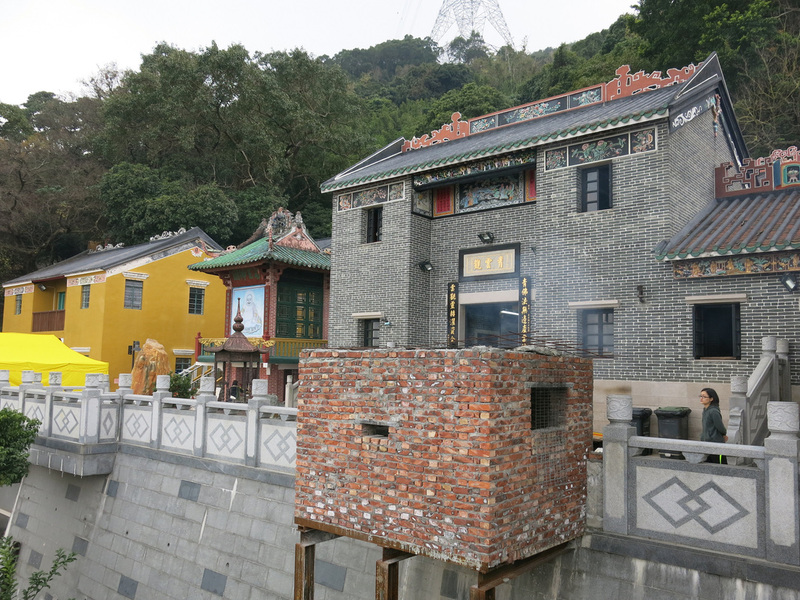 The walls protected villagers from the pirates roaming the Pearl River Delta. All four sides of the wall remain intact and village life continues inside, albeit most people are living in newer accommodations. It is an interesting blend showing how the historical society has been incorporated into modern life. 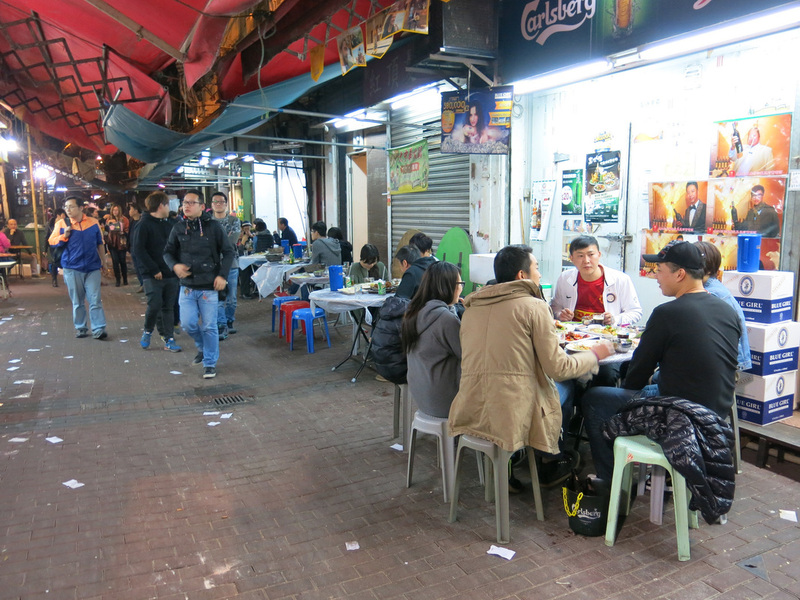 There's not too much else in this area so if you are looking for dinner either head back to Yuen Long or continue on to Sham Shui Po, Mongkok, etc. From Yuen Long you can make any number of stops on your return to Central. 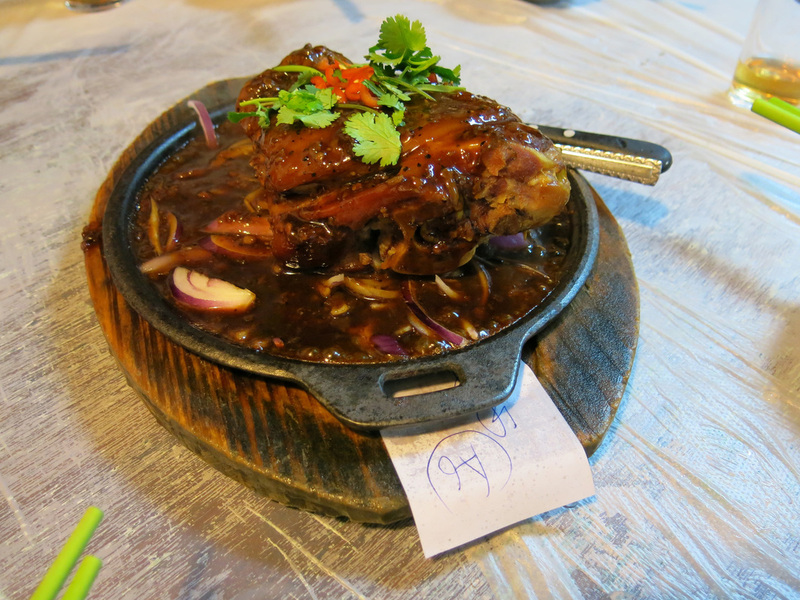 There are more restaurants in the Yuen Long area. 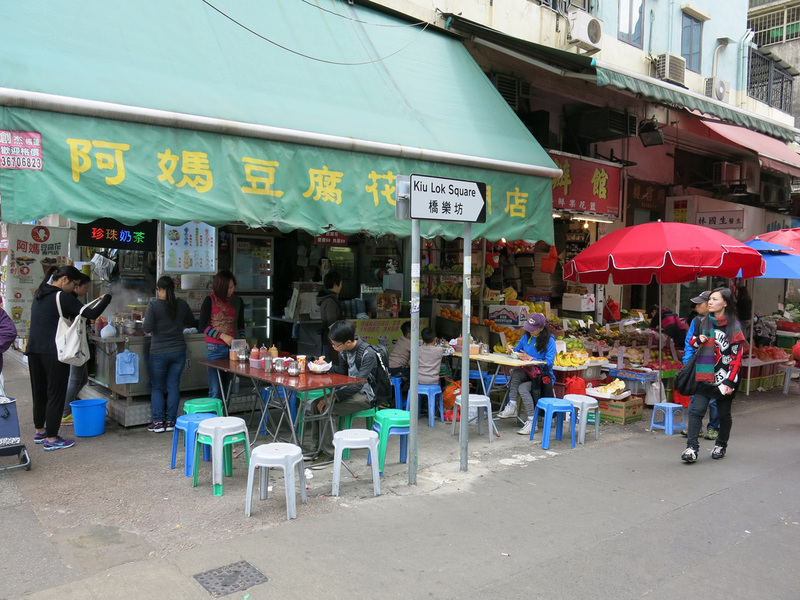 If you plan your trip earlier in the day there are a few breakfast places you could stop at first then find lunch in Yuen Long. 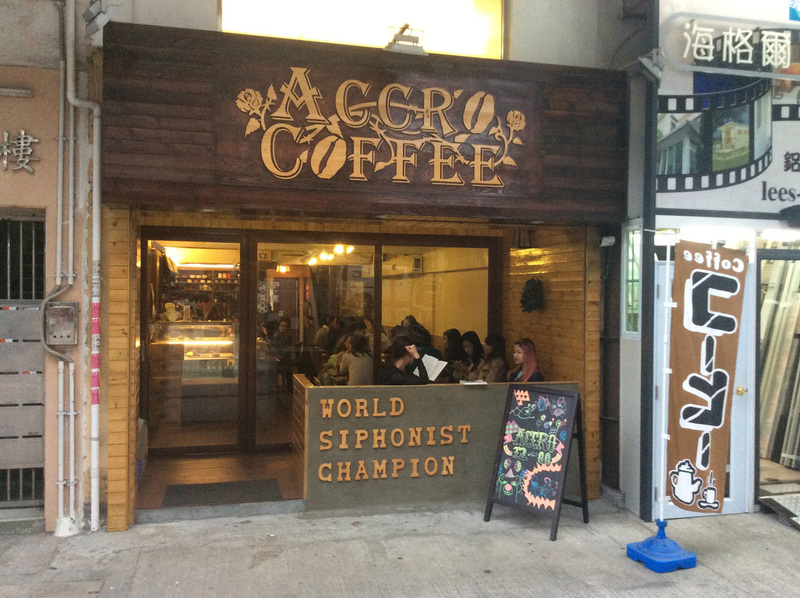 Accro Coffee and A Story of Milk Tea are two good places to grab coffee or milk tea, respectively. Both are near the Long Ping MTR Station. 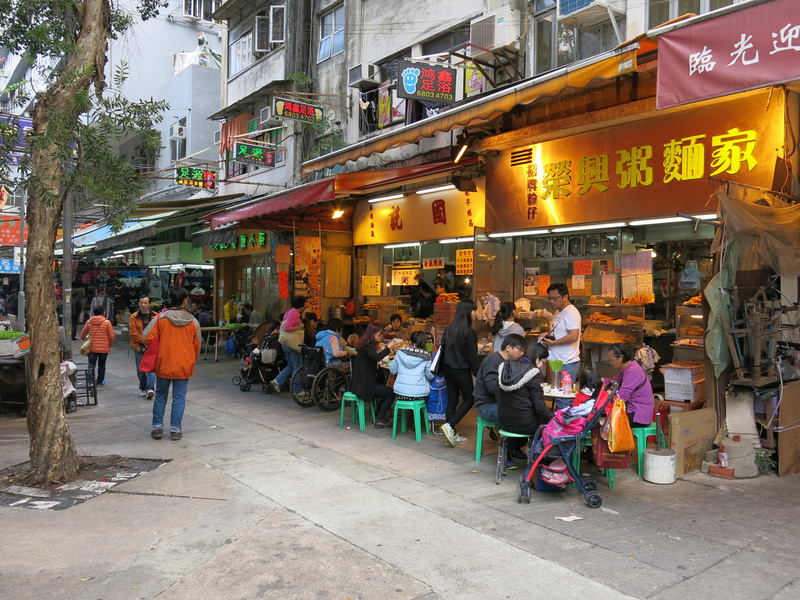 On my visit I stopped at Tai Chung Wah, a popular Dai Pai Dong near the Cheng Sha Wan MTR Station. You could continue on to Mong Kok or elsewhere in Kowloon or New Territories. 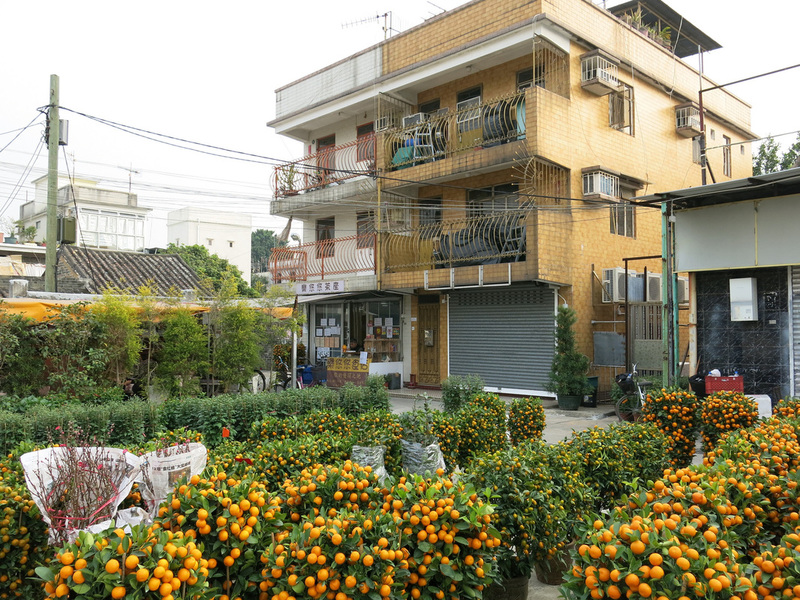 There's also additional sites in Yuen Long that I'll add after a second visit. For additional Yuen Long photos see FLIKR ALBUM.